One of the ways to combat drug abuse in America is to figure out where the drugs are coming from and then clamp down on the suppliers. For example, one growing area of drug abuse in our country is prescription drug abuse. In order to prevent Americans from abusing these prescription pain pills, you have to figure out what pills are being abused and then find ways to prevent them getting into the hands of addicts. Another major category of drugs abused in the US are “home grown” drugs such as meth and marijuana. These drugs are synthesized or grown in secret rooms in houses all over the country. These meth labs and grow houses may be hard to find, but law enforcement knows the signs to look for and have made a lot of progress in shutting these local operations down. 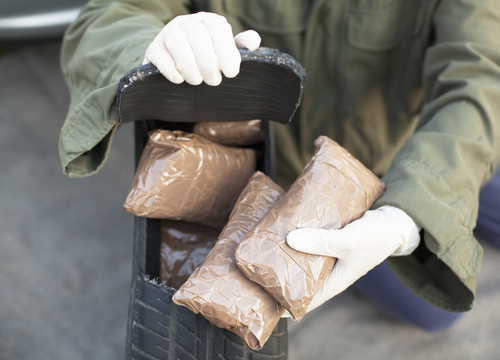 The third major category of drugs is the group of illegal drugs that aren’t created in the US. The raw materials for many major illicit drugs, such as cocaine and heroin, are mainly produced in other countries on other continents than the US. The Middle East, for example, is a major growing area for the Asian poppy, the source of heroin. Coca plants, the source of cocaine, are often grown in South America. In order to limit the amount of these drugs being used by Americans, law enforcement has to crack down on the criminals that try to ship these drugs into the United States. Recently, the FBI had success in doing just that. In early February, 17 people were arrested for their connections to an Italian crime ring known as “Ndrangheta.” This group was working on setting up a cocaine smuggling and sales operation in New York City. The crime ring had been pursuing methods of shipping large quantities of cocaine into the United States, and they had hit upon some novel ways of doing so. US Customs agents spend a lot of their time inspecting shipments into the US for drugs and other illegal substances, so criminals such as the Ndrangheta group have to constantly look for new ways to try to fool authorities. One conspirator from the crime ring was recorded explaining that the group had bought a fish wholesaler and was planning on packing small bundles of cocaine inside thousands of frozen fish. The process of thawing the fish out wouldn’t just have been time-consuming, it probably would have stunk, as well. The group eventually gave up that idea to pursue other ways of hiding and transporting their drugs. Reportedly, they also considered hiding the drugs inside of pineapples and charcoal. Whatever their eventual plan would have been, it didn’t work because of a potential buyer for their drugs. FBI agents were alerted to the crime ring’s activities, and they contacted the group under the guise of wanting to purchase large quantities of drugs. The crime ring’s representatives met the undercover agent in a Manhattan Dunkin’ Donuts and arranged the sale, along with an exchange of illegal firearms. Instead of making a nice profit, however, the criminals found themselves arrested by the FBI. It takes a lot of footwork, intelligence and courage, but the FBI and other law enforcement agencies have continued to work hard to fight the spreading epidemic of drug abuse in our country. Every drug smuggler or drug dealer put behind bars means more American families can be spared the disease, heartache and even deaths that have always accompanied drug use.